Engineered Systems Group | PCI: Performance Contracting Inc.
Superior Products. Innovative Solutions. Proven Results. Engineered Systems Group (ESG) was formed as a branch within Performance Contracting, Inc. in the 1970’s. We are guided by a set of goals that remains true today—develop superior products, deliver our goods and services as specified and on time, and solve our client’s problems as though they are our own. More than 40 years later, these goals have allowed us to establish and grow a loyal customer base not only in the Nuclear Market worldwide; but also in the Metal Fabrication Industry. With PCI’s strong financial position and national branch resources, ESG is capable of providing a superior range of services, purchasing power, experience, and knowledge to give you fast, reliable and comprehensive service for all your needs under our nuclear accepted QA program. Safety and Quality are part of Performance Contracting, Inc.’s core values; and we at ESG hope if you have not yet contacted us for service, you will do so after reviewing the information on our website. Quality Products. Custom Solutions. Experienced Craftsmanship. CVPL (Closed Vertical Pipe Loop): Testing facility for parametric studies, etc. Any of these testing protocols can be used to help qualify your current strainer, no matter which vendor supplied it. Joining PCI in the Sure-Flow® Strainer team are AREVA NP, Inc. and Alden Research Laboratory, Inc. The Sure-Flow® Strainer Team has been collaborating to provide ECCS/CSS Sump compliance solutions since 1996. PCI has and can work with other engineering companies familiar with your design basis as well. In addition to the testing protocols listed above, the SFS Team can offer Debris Generation analysis, Debris Transport analysis, Computational Fluid Dynamics analysis, In-Vessel testing, and Other Down Stream Evaluations (DSE) for GSI-191. PCI’s patent pending Sure-Trap™ installed over your existing Strainer will help you meet your Fiber Bypass requirements to prevent In-Vessel Reactor Coolant blockage. Sure-Trap™ is a series of filter panels installed around your current ECCS Strainer while maintaining an open flow path. The filter panels are positioned to maximize the amount of Fibrous Debris captured following a Loss Of Coolant Accident. High Fiber plants may realize additional benefits by implementing the Sure-Trap™ in conjunction with PCI’s exclusive Large Flume Test Protocol (LFTP). PCI’s Sure-Trap™ and LFTP, used together, will reduce the costly replacement of your current fibrous insulation. When considering insulation replacement and worker radiation exposure costs alone, Sure-Trap™ will save you money. PCI is a proven industry leader in providing sump screen regulatory compliance. Our track record of success began with the resolution of RG 1.82 and is now focused on helping you resolve GSI-191. Our Sure-Flow® Strainer is a key product in helping your achieve GSI-191 compliance. Stacked Disk Design: Despite what others may claim, the stacked disk design provides the most surface area of any strainer design available. PCI’s Sure-Flow® Strainer is a scalable system that provides a maximum surface area in a minimum footprint. Customization: PCI’s Sure-Flow® Strainer can be customized to fit in a variety of locations. The Sure-Flow® Strainer has been successfully installed within the sump pit at 13 out of 42 plants resulting in little or no impact to future maintenance projects. Flow Control : PCI’s patented Flow Control Device ensures an evenly distributed debris bed which results in lower head loss through the debris bed. 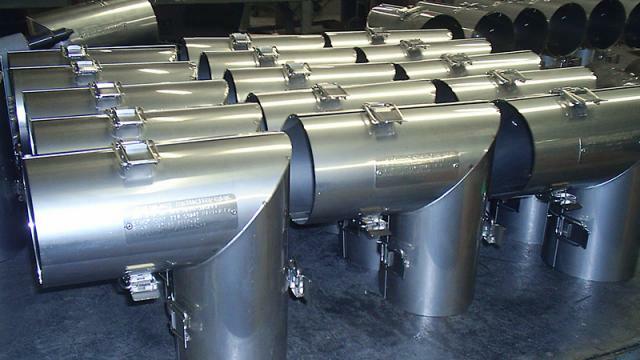 Versatility: The Sure-Flow® Strainer can accommodate a variety of configurations based on the needs of your plant. 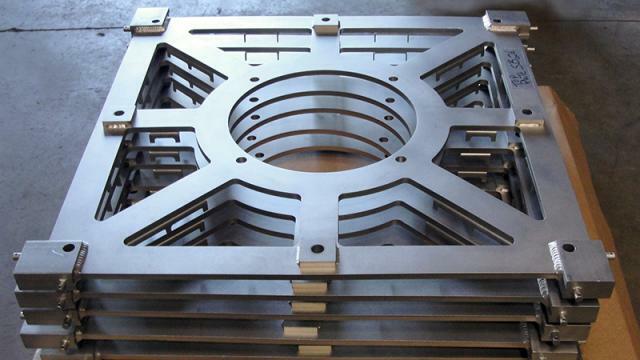 We can ship large pre-assembled modules or small components to be assembled in the field. Proven Success: PCI’s Sure-Flow® Strainer has a proven history of regulatory acceptance not only in the United States, but also internationally. The Sure-Flow® Strainer has been successfully installed in 18 PWR plants in the United States as well as 24 PWR plants internationally. PCI has developed Sure-Hold™ Bands to reduce quantities of LOCA-generated insulation debris. Sure-Hold™ Bands are removable/reusable steel bands which can be easily installed, at a regular interval, around the metal jacketing that covers the containment area insulation, such as metal-jacketed NUKON® Insulation, or around Reflective Metal Insulation (RMI). Sure-Hold™ Bands are designed to reinforce the existing thermal insulation so that it can withstand the high-pressure jets of the post-LOCA steam and water blowdown. Tests using a simulated pipe break have shown that standard insulation without Sure-Hold™ Bands can be severely damaged by these jets at pressures as low as 10 psi. However, with the use of the Sure-Hold™ Bands, the same types of insulation can be protected at pressures as high as 190 psi. PCI is a recognized industry leader in providing Sump Strainer regulatory compliant solutions for BWR plants. Our success was proven when we were selected for 15 of the 35 U.S. BWR plants to resolve RG 1.82 Rev 1; by GE for the supply of Lungmen Units 1 & 2 in Taiwan, and then for the first 3 BWR units implemented in Japan by TEPCo. 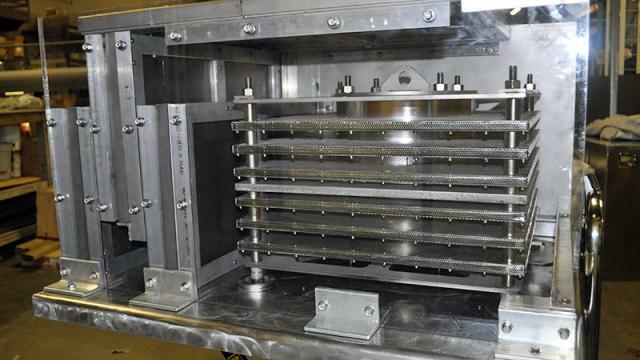 We continue to lead the industry with our ECCS Sump compliance solutions and are now preparing for future regulatory bulletins based on In-Vessel Fuel Assembly Blockage research for BWR plant reactors. New generation BWR Sure-Flow® Strainer concepts are currently being developed to meet future fiber bypass requirements and changes proposed in RG 1.82 Rev 4. By combining our innovative GSI-191 compliance solutions with our experience as the #1 strainer supplier to the U.S. BWR industry, PCI is again poised to be the world’s leader in BWR strainer compliance solutions as requirements are defined. Performance Contracting Inc., (PCI) is proud to introduce our partnership with KAEFER based in Bremen, Germany. PCI is dedicated to the professional service of its customers. This is why the joint venture with KAEFER to bring their RMI insulation technology to the U.S. and other interested clients is exciting for us, and hopefully to the many nuclear licensees and construction companies who have been looking for a viable alternative to the current U.S. RMI technology product offerings. KAEFER PCI, LLC now produces the finest Reflective Metal Insulation (RMI) in the world right here in the USA. Our state of the art manufacturing facility is located just outside of Kansas City, MO. Combining German engineering and technology with PCI’s proven record of performance, innovation, reliability and experience as a supplier of safety related systems to the domestic and international markets it is a “Win-Win” for all nuclear sites. KAEFER PCI’s reflective metal insulation technology will meet the performance expectations of the specification and licensees. Our NUKON® insulation or our Reflective Metal Insulation can be equipped with a Non-Lead Radiation Protection System. This radiation protection is a Non-Toxic safe alternative to lead blankets, it is comprised of either tungsten or iron combined with silicon to be formed to any shape or size. These radiation barriers are placed within our NUKON® or RMI cassettes. This will eliminate the use of lead blankets during any outage work saving time, money, radiation exposure and environmental issues. We provide a full range of insulation materials and insulation accessories as Nuclear Safety Related material. These materials are compliant with U.S. NRC Regulatory Guide 1.36. The items sold as Q-Materials are purchased and tested according to the procedures set forth by our Quality Assurance Program. RE/WRAP Insulation System is designed around a flexible blanket of resilient high-temperature woven fibrous glass fabric. Components are secured in place over piping, fittings and equipment with either Velcro-type hook-and-loop fasteners or lacing hooks. Outer covering materials are sewn together with high-integrity thread to encase the insulation. 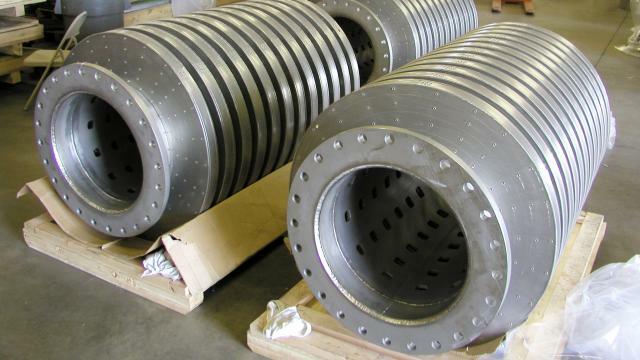 RE/WRAP insulation covers for elbows, flanges, valves, pumps, turbines, manways and other equipment are computer-engineered for a close fit to customers’ particular requirements. RE/WRAP Insulation System consists of rapidly removable and reusable, highly effective thermal insulation blankets as a total system including pipe, fitting and equipment covers. It may also be installed to provide easy access to locations requiring in-service inspection or maintenance, indoors or outdoors. These blankets can be provided with certification to USNRC Regulatory Guide 1.36 under a full 10CFR50, App. B quality program, and with acceptance of 10CFR21 liability. The RE/WRAP system is easily installed, by PCI crews or by customers’ personnel trained in correct procedures by PCI technicians. No special skills, tools, or techniques are required to achieve a neat and effective insulation job, eliminating energy-wasting gaps between sections. The NUKON® Containment Insulation System is designed, fabricated and supplied to provide superior performance on hot service piping and equipment inside light water reactor nuclear power plants. 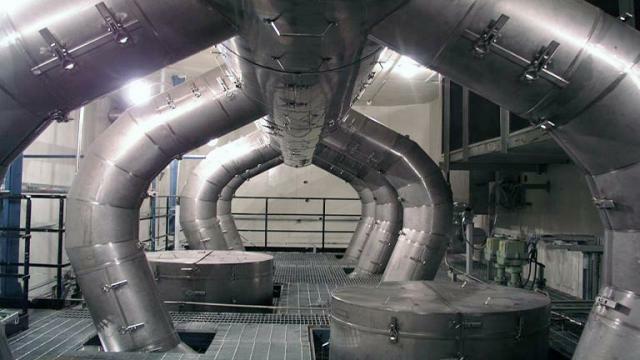 Each component of the NUKON® system is supplied in such a way that it can be quickly removed and reinstalled, thereby keeping insulation handling off the plant’s critical path. The NUKON® insulation is also designed to be extremely durable. When subjected to normal usage, it will last the lifetime of the plant. To determine its installed performance, PCI has performed a number of tests and engineering analyses on the NUKON® system. Our NUKON® system meets all the requirements of Nuclear Grade Blanket Type Insulation (NGBTI) as described in Nuclear specifications worldwide. PCI is a leading supplier of NGBTI systems around the world for inside containment insulation. With the NUKON® system installed in over 100 nuclear containments in the United States and Worldwide, it has become the world’s standard for Nuclear Grade Blanket Type Insulation. PCI offers a complete line of laser cutting, welding, and metal fabrication services with the ability to handle both large and small jobs. PCI has an extensive quality assurance program that can be utilized to meet your job requirements. The quality assurance program is fully compliant to ISO 9001: 2008, 10 CFR 50 – Appendix B, and ASME NQA-1 (2008). 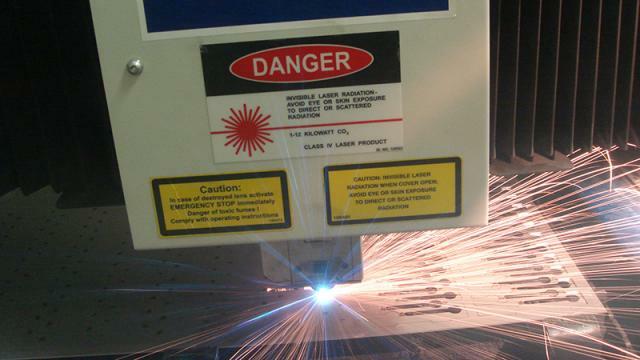 PCI offers a complete line of laser cutting, welding, and metal fabrication services with the ability to handle both large and small jobs. 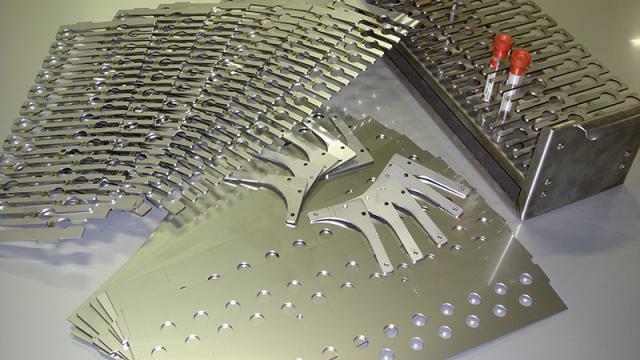 Along with one of the largest production laser cutters in North America, PCI also has high quality in-house welding services performed with SMAW, GTAW, GMAW and Fusion processes. A full CAD design team is also available to work with a customer’s existing drawings or can design to the customer’s specifications.